Great start to Season 18 thus far. A huge thanks to the owners who have done an excellent job managing their teams and helping to keep the league running smoothly. Without all of us working together, running the league can be a very difficult task, so thank you to the community as well. Remember, please stay active on the forums because it just adds so much to the league when members are interacting with one another. All available free agents are now able to be acquired regardless of when they signed up. For situations where teams need an “emergency” free agent for a specific reason. Teams will now be allowed to pick up players on an emergency basis for a limited number of games. Owners are aware of the details of the system. Like we have said in the past, the decisions and adjustments we make are always made based upon what we feel is best for the health of the league and keeping all members involved. 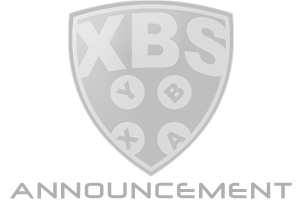 We hope these changes make the experience here at XBS that much better for all of you. Last edited by DustyRytStyk; Mar. 27th, '17 at 3:25 pm. Great work guys....love the emergency FA pickups! Nice. It will be great to get these guys involved instead of sitting on the bench all this time. Great job. One for all and all for one. Great job. Love it! That is something I tried to implement on several occasions but I didn't get a lot of backing for it so could never really work out the "rules" or whatever. Glad to see it implemented. I'm not asking by any means, but would love to know how you worked it all out. Like I said, I wanted to do it but was never able to get it through even though I brought it up a lot .